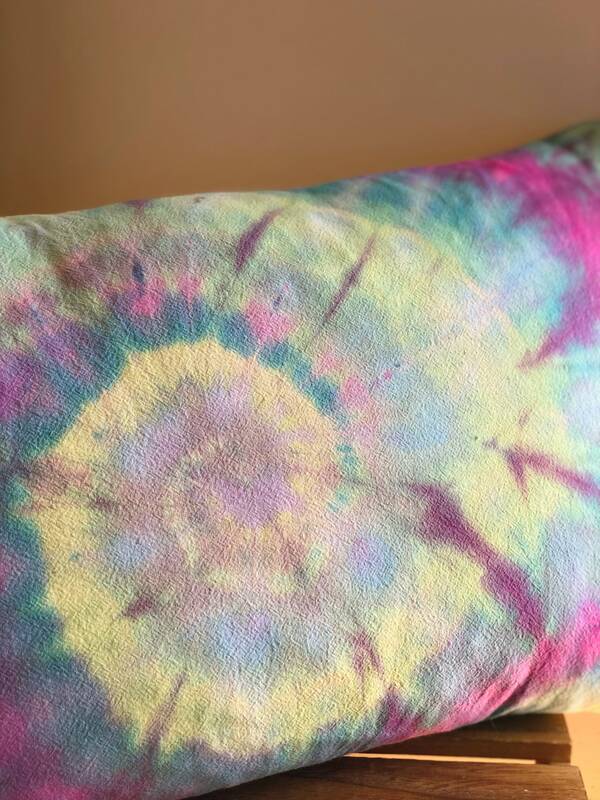 Hand dyed using pretty pastel colorfast dyes. 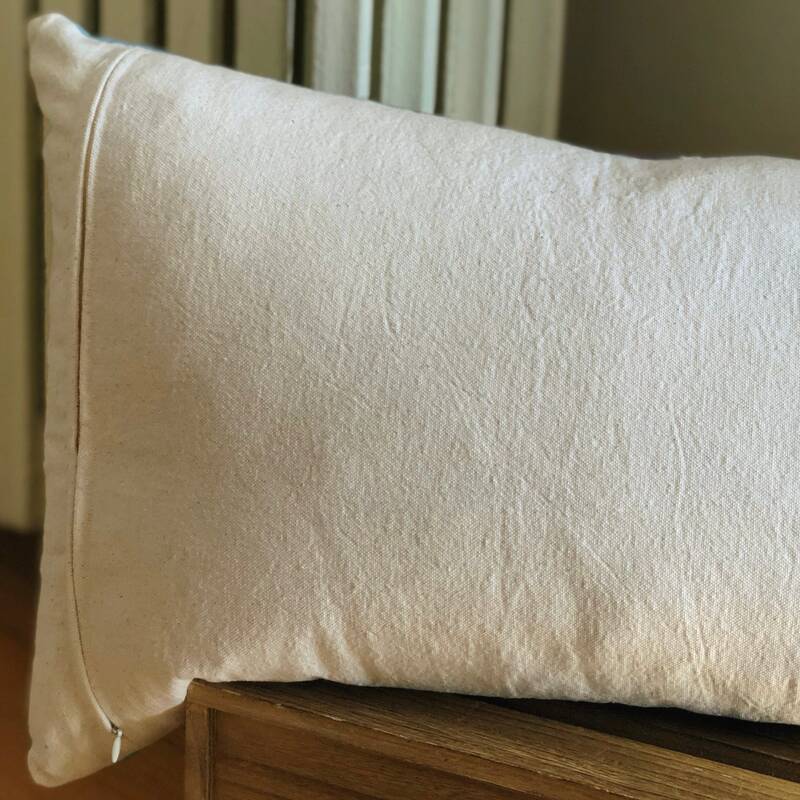 Made of 100% unbleached organic cotton and cotton canvas. 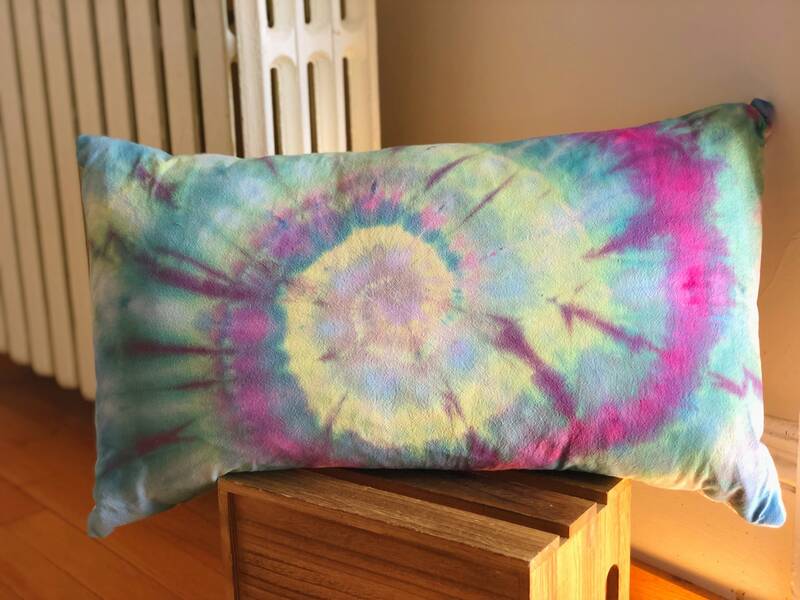 The pillow insert contains fluffy down feathers which help keep its shape for years to come.